As noted on in a comment to my earlier post on last weeks transport vote, the city have effectively taken the *white flag or the **white envelope on their decision about light rail. 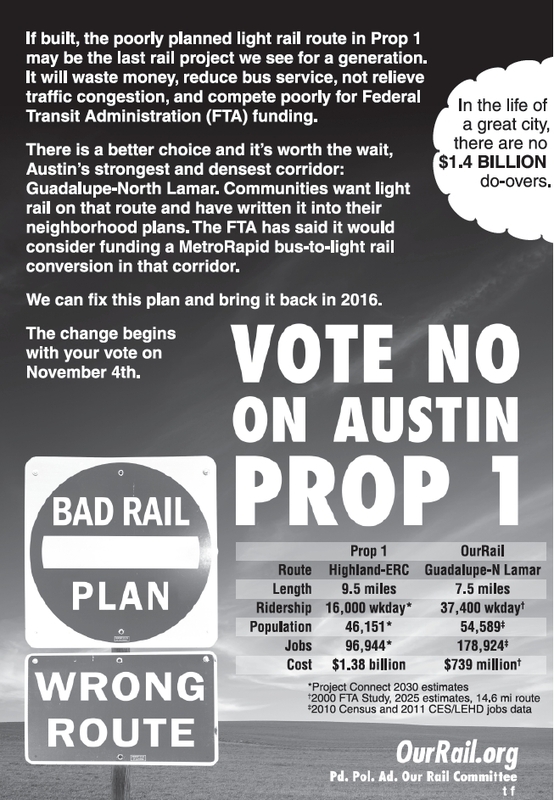 Over on the Austin Chronicle website, they’ve published a letter from John Langmore, vice-chair of the Capital Metro board of directors and also a member of the Central Corridor Advisory Group. No one was suggesting this. Niran Babalola published a great. concise summary rebutting Mr. Langmore attempt to whitewash out criticism. You can read it here after Langmores letter. However, actually I think returning $48 million to the federal government is a better option than wasting $800 million on a line to Highland Mall. However, as Niran points out, there is a compromise. **White Envelope, as in back handed payment. Doing the developers bidding. Attached is the text of an email I sent to council member Tovo today. I’ve removed a sentence with some personal information, corrected a spelling, but otherwise it’s as I wrote it earlier on my phone. 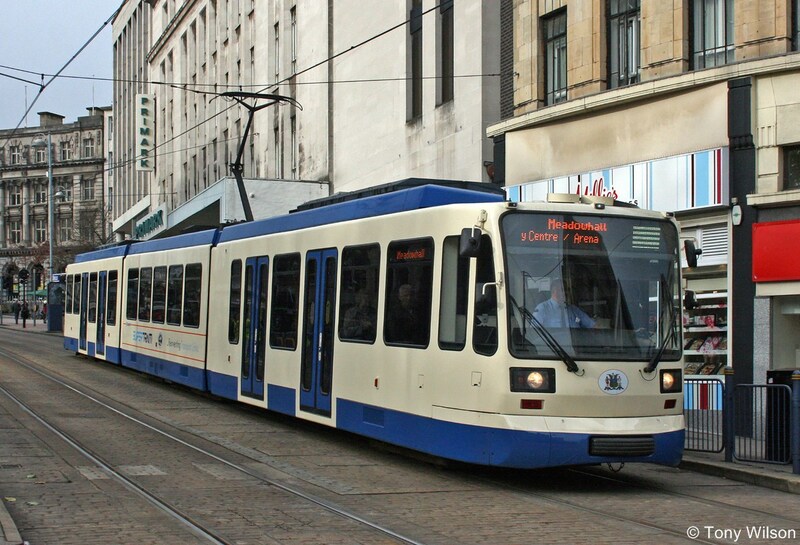 I’ve also added a picture of the Sheffield Super Tram which is of course something like what we should be getting rather than the proposed light rail route and the rapid buses which actually seem to represent a “slight of hand” since they are decreasing the frequency of other buses in one assumes an effort to drive up the ridership of the rapid buses. 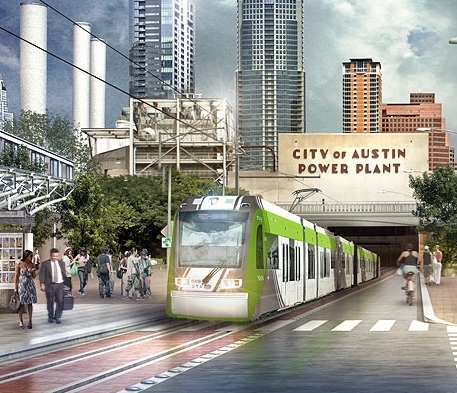 Austin faces a key decision this Thursday about whether to go ahead with a light rail route that essentially 2nd best. It seems to me from the outside that whoever is driving this either doesn’t have the balls to go for the right decision, has already accepted they won’t win if they do or has a hidden agenda about what they are really trying to achieve in the future by choosing the current route. 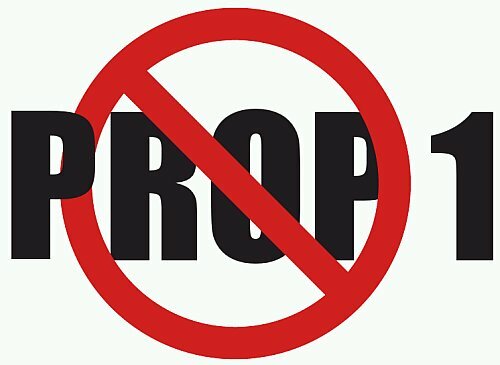 I don’t know where you stand on the light rail project up for approval at the council meeting, I can’t be there. I simply cannot see the proposed route out via Mueller as anything but 2nd best. I understand compromise is often needed, but given the overall poor performance of the red line for passenger numbers, another white elephant rail line will kill off any future program hopes. When I look at some of the crucial light rail and urban train systems in the UK and Europe that have been added in the last 20 years to combat car based congestion, they’ve taken the hard decisions and put the trains on busy but key routes. They’ve not taken a punt and hoped that the can deflect future traffic and create new demand. Take a look at the systems in Sheffield and Salford / Manchester direct, mostly on what we’re previously roads. The hard choice in Austin is to use Guadalupe and Lamar. Every time the public has been consulted this always came out as the best choice. Yes it will cause drivers problems, yes it’s difficult to push through but it will go places and on a direct route that people want to go on, and that has a chance of replacing car journeys. One of the biggest wastes currently going on downtown is the construction of parking garages. They take up massive amounts of land, and for the most part, provide no communal benefit. They simply use up land that could be better used. Take a look at the monster garage currently being constructed behind the old Runtex lot. This is totally unsustainable, we don’t have the roads or space to support expanding car journeys. The only way to address this is alternative transport means that go where people want to go, on a direct route, that passes places where other people can get on and off. 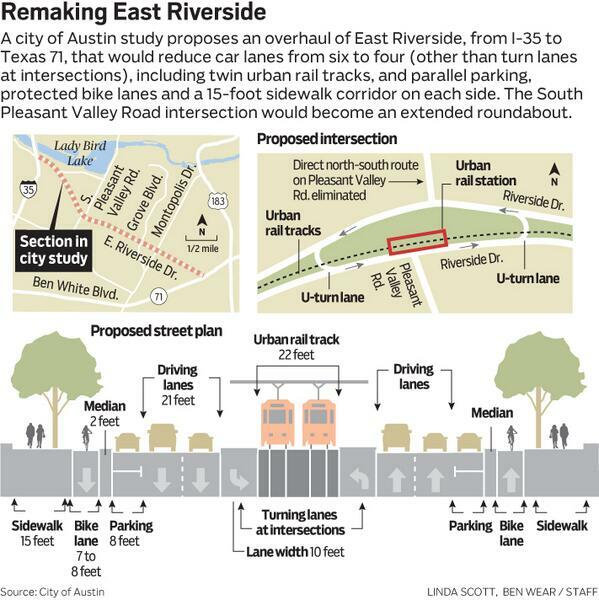 If you find yourself unable to vote for the gaudalupe/Lamar route, please vote against the program completely and the route that takes the trains out to Mueller. It won’t get the traffic, won’t solve any real problems and will kill off any chance of getting downtown central solutions in Austin as well as wasting money we otherwise can’t afford.